Car rental giants Hertz and Group Lotus allows customers to rent a Lotus Evora. The price is roughly $359 per day and is available in Europe only. The world&apos;s largest car rental company, Hertz, has teamed with Group Lotus to allow customers to rent the Lotus Evora in major European countries such as Germany, France, United Kingdom and Spain. The new program gives fans the rare chance to get behind the wheel of the award-winning sports car.The Lotus Evora is the latest from the new Adrenaline Range in the Hertz Fun Collection which has aslo partnered with the Hertz Adrenaline Collection in the US. The Lotus Evora will be available to hire from Hertz France&apos;s Marseilles, Nice, Charles De Gaulle and Paris airports and Paris Porte Maillot as well. In Germany, the Frankfurt Rhein-Main and Munich airports, Italy&apos;s Rome Fiumicino and Milan Linate airports, Spain&apos;s Madrid and Barcelona airports and London Heathrow Airport. 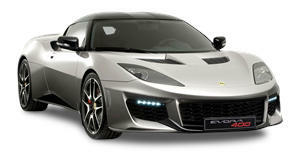 Rates for the Lotus Evora begin at "only" €250 or $359 a day. Photos courtesy of Lotusenthusiast.net.